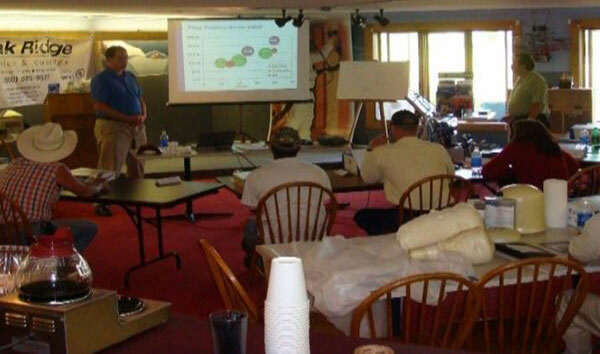 Safety & Training School | Oak Ridge Foam & Coating Systems Inc.
Oak Ridge Foam & Coating Systems, Inc. requires our Authorized Contractors to attend a one or two-day training session held at our Green Lake, WI facility. At this training, many of the factors needed to help your business succeed will be discussed. Prior to the start of schooling, each person who will be attending is required to pass an online safety test. Information on how to access the test will be provided when the school session is scheduled. Upon successful completion, a copy of your Safety Certificate will need to be given to our office. A one day session of schooling costs $300.00 USD per person; two days of schooling is $250.00 USD per person, per day. All training materials are included. Classes begin promptly at 9:00am CST. Lunch will be provided for all attendees at no charge. For local hotel accommodations, contact Comfort Suites (920) 748-5500, or Boarders Inn (920) 745-7578. 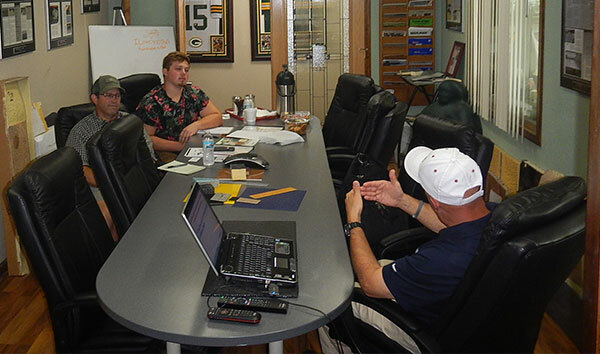 Both are located in Ripon, WI, just 10 minutes from our Green Lake facility. When making reservations, please mention that you are attending Oak Ridge Foam & Coating Systems’ training school to receive a reduced rate on your room(s). REGISTER FOR CLASSES NOW BY CALLING OUR TOLL FREE NUMBER (800) 625-9577. IT IS IMPORTANT THAT YOU RESERVE YOUR SPOT BY CREDIT CARD AT LEAST ONE WEEK PRIOR TO TRAINING DATE.